Pursuing an instrument rating is a good idea. It will make you a safer, more capable pilot even if you never fly in actual instrument conditions. Congratulations on your choice of considering the training that, more than any other single differentiator, sets a safe pilot apart. 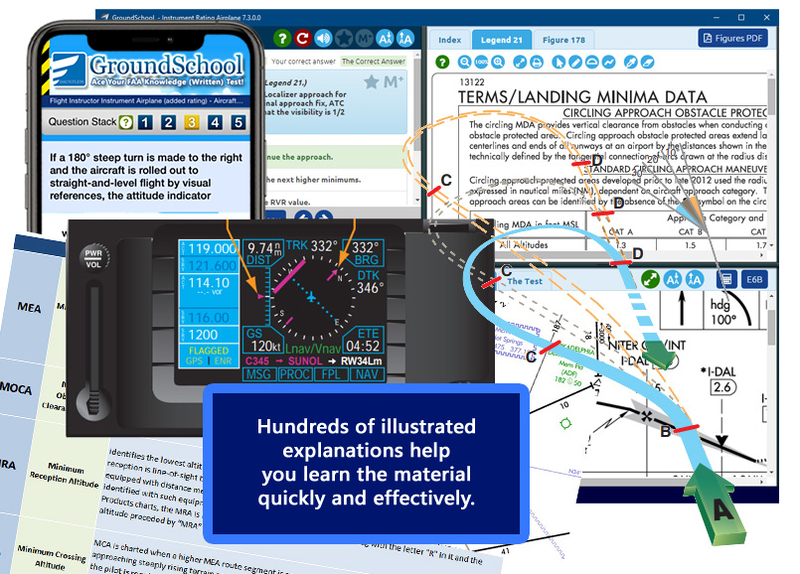 GroundSchool features ACTUAL FAA QUESTIONS. Answers and Explanations have been written by highly experienced flight instructors and professional pilots. All required charts and figures are included. 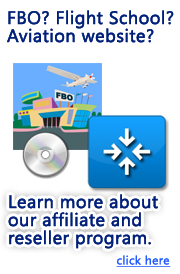 This software can be used to prepare for the Instrument Flight Instructor and Instrument Ground Instructor tests as well as for all initial instrument rating tests (airplane and helicopter). Don't fear the examiner! A high score on the written test will help you impress the examiner during your checkride (flight test), but doing well on the oral exam portion of your checkride will impress him/her more. Study for your written exam with our GroundSchool software (below), but also prepare for your Oral Exam with our RideReady software. Starting early with RideReady is a plus, since it really goes a long way towards teaching you more complex scenario, judgment, and systems type questions that you will likely experience during your training and oral exam compared to the relatively straightforward written exam questions.